As the chill of Autumn air returns each year it triggers a longing within me for the sounds of distant honking geese overhead and the crunching of Overcup oak leaves beneath my boots. 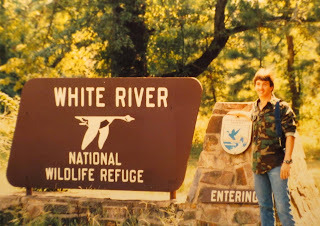 White River refuge provides a dependable anchor, a connection, an unseverable tie to the birth of my hunting spirit. When I feel that spirit waning, I return here and reconnect. The lure of the refuge river bottoms was imprinted upon me very early in my youth. 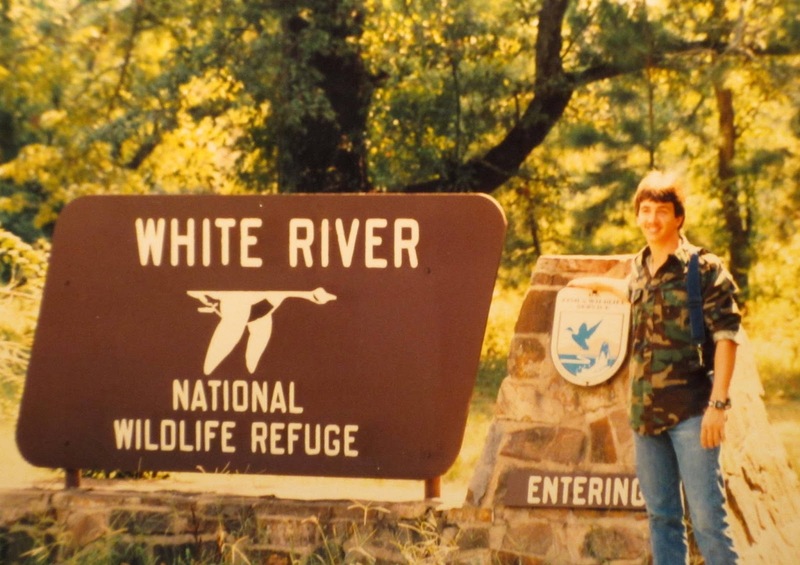 Being a restless teenager growing up in the rural farming community of Dewitt I was truly blessed to have lived in close proximity to such a national treasure as White River NWR. After school and weekend excursions to the refuge to explore its many isolated lakes or to bowhunt its remote hardwood forest occupied much of my free time. I often proclaimed that it was my land, that I owned it, all 160,00 acres of it! The Cypress and Overcup trees of the refuge imprinted on me in a similar way that salmon are drawn to return from hundreds of miles away to the place of their birth. Returning to the refuge with my bow in hand is a yearly ritual that I have done with few exceptions for over thirty years. 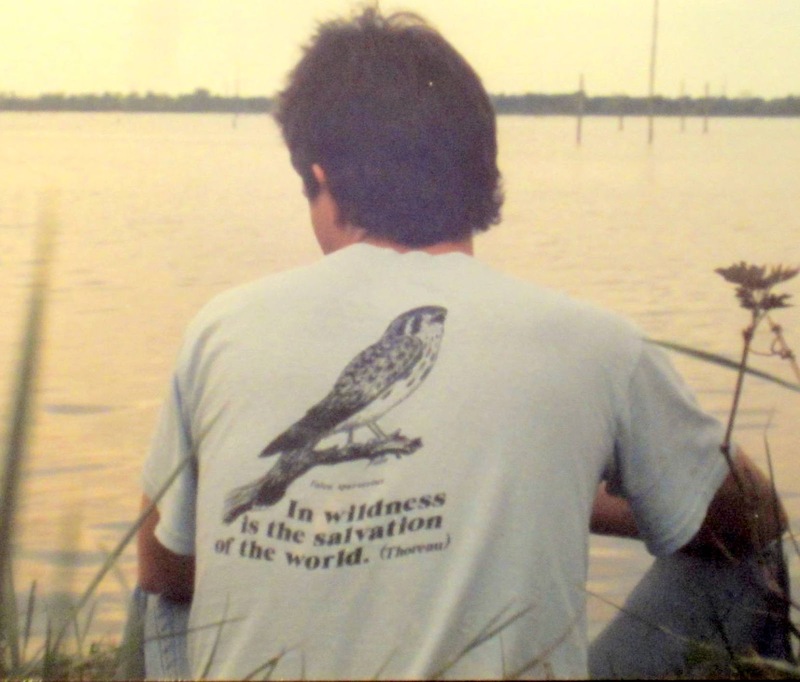 The wilds of the refuge offer an unchanging anchor that keeps me rooted in a world that is ever evolving and changing. As I enter the refuge gates each fall I am always comforted in knowing that Lower White Lake and Wolf Lake will be there to greet me. No need to worry that some developer has filled them in or clear cut its forest to make room for another cotton field. Nor do I have to worry that I will not be the high bidder on my hunting lease in any given year. The refuge will always be there. Life brings constant change. I have uprooted my family and relocated multiple times across the country while pursuing my career in the archery business. I've been fortunate enough to have been involved in and to hunt in some magnificent hunting clubs and properties. Over time though, the one constant and recurring hunting relationship I have had has been with my White River Wildlife Refuge. I was awed by the magnitude and vast remoteness of the place as a kid and remain so today. The refuge is part of me. It is my connection to the earth that holds many stories and memories of the bow and arrow, from long ago hunts... and of hunts yet to come. what about the clear cutting of the refuge today? are you happy with that? The refuge has actively managed much of its forest for wildlife for 50 plus years. That's its mandate..manage the habitat for the benefit of wildlife. I agree with you.. timber cutting ain't pretty in the short term but the benefits to wildlife are almost immediate. I take the long view..and remain focused on what the real threats are. And that is habitat loss, clear cutting, and commercial development. Less than 10% of our bottomland forest remain today. Take a fly-over of the refuge and you'll see many areas where the timber is clear cut right up to the refuge's border. So yes... I'm thankful for the refuge...because without it, the forest we now enjoy hunting and recreating in would have been plowed under with the rest a long time ago. The refuge has something for everyone. Did you know the refuge have seven large natural areas on the refuge where timber grows UNTOUCHED? Something you'll NEVER see in a for profit timber operation for sure. Check out the Brooks Island Natural Area (4,400 acres!) and Mink Bayou Natural area(3,300 acres).